The TRUEbalance blood glucose test strips ensure accuracy and precision. Featuring TRUEfill™ patented beveled tip design which reduces re-testing, TRUEbalance strips require no coding and are ideal for home glucose testing. Includes 200 True Balance test strips & 200 lancets. TRUEbalance blood glucose test strips are cutting edge testing strips that ensure accuracy and precision. Featuring TRUEfill™ patented beveled tip design which reduces re-testing, TRUEbalance diabetes test strips require no coding and are ideal for home glucose testing. 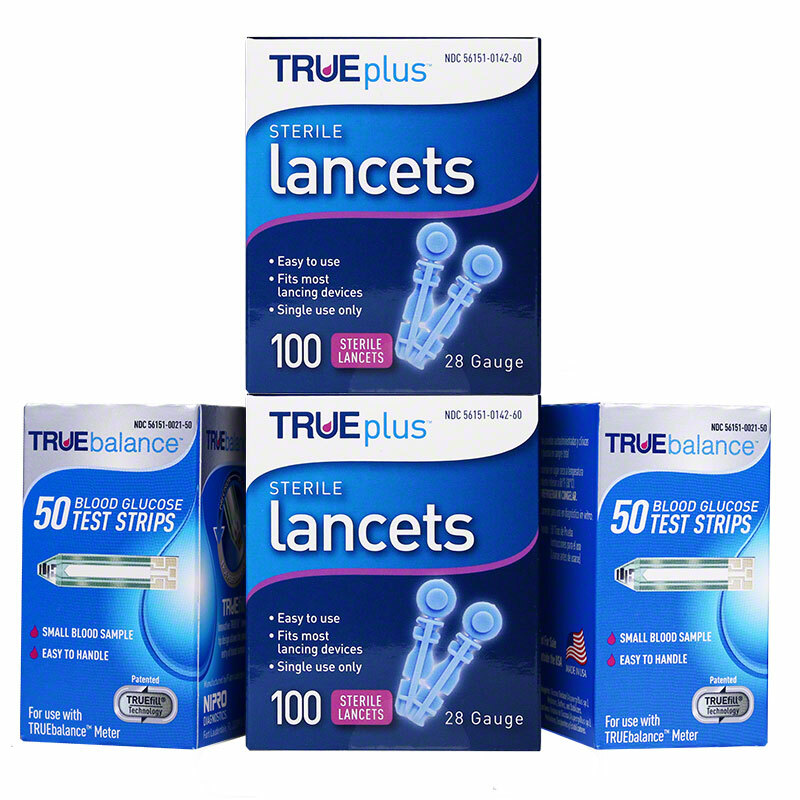 This offer includes 200 test strips & 200 lancets. For use with TRUEbalance™ blood glucose meter.